Love garage sales? Help promote us by handing out our postcards at the sales you visit. 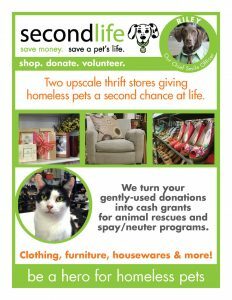 Let the sellers know we are accepting donations and how easy it is for them to help animal rescues simply by donating the items that don’t sell. It’s easy and it helps us greatly. See us in the AJC! We are excited to be included in the AJC newspaper in their living section on Tuesday, March 7. 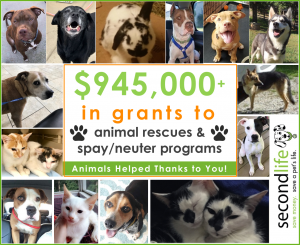 This exposure will help us reach more animal lovers who support our mission of promoting adoption, spay/neuter and saving the lives of homeless pets. Read more now!